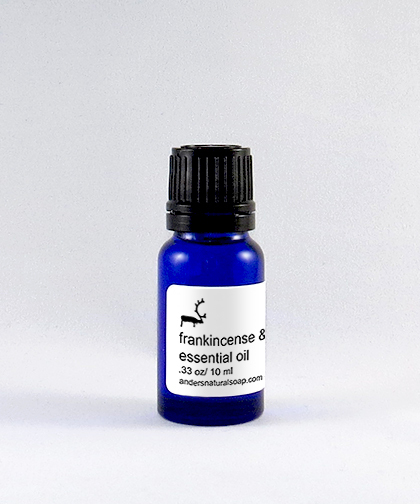 FRANKINCENSE: Frankincense, also called olibanum, is an aromatic resin obtained from the Boswellia tree native to northeastern Africa. Obtained through steam distillation of the dried resin, this essential oil possesses anti-inflammatory properties. Frankincense has been highly regarded for thousands of years, believed to be an effective remedy for a number of ailments. Used today in perfumes and incense, this beautiful aromatic also doubles as a revitalizing skin care ingredient, especially in mature skin. MYRRH: Myrrh oil possesses many of the same properties as Frankincense oil. Used in a synergistic combination for thousands of years the antiseptic antioxidant properties are very healing to the skin. While most essential oils are derived from leaves and flowers, Myrrh is much more exotic. It is the resin, similar to a sap, of an African and Middle Eastern tree. We originally offered these oils in our products as a Christmas offering only, but soon found that they were so popular we now offer them year round.